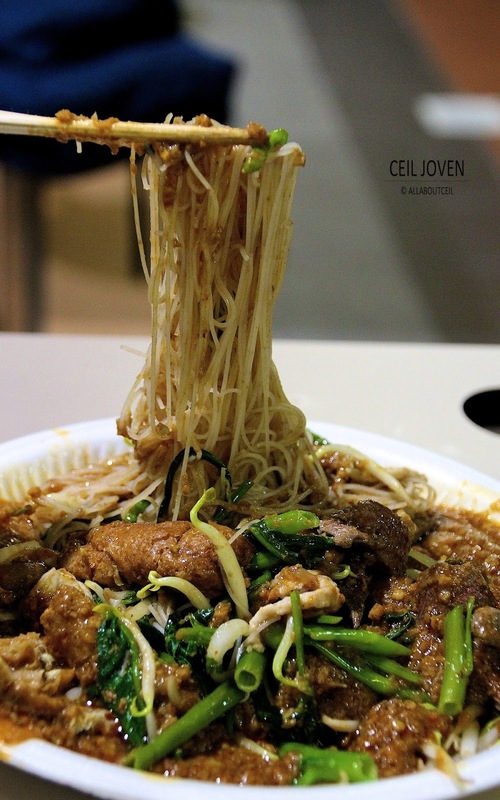 ALL ABOUT CEIL: Satay Bee Hoon. There was a constant queue right in front of this stall. Everyone in that queue waiting to order their share of satay bee hoon. My curiosity prompted me to join in. 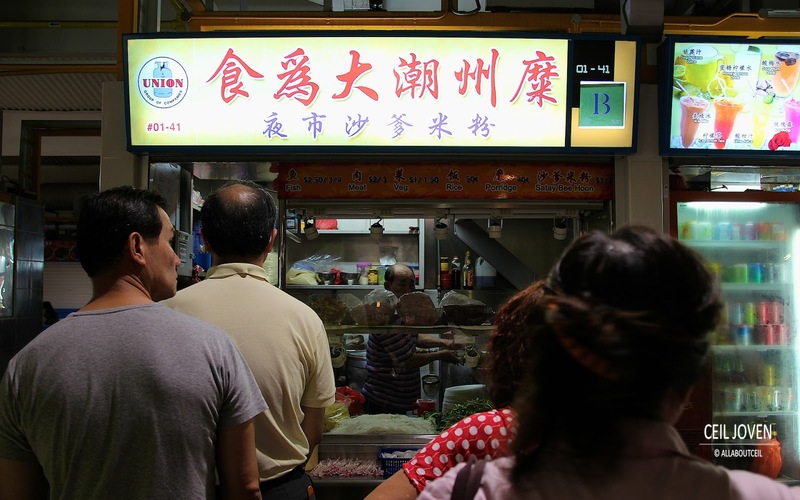 This stall is offering Teochew Porridge during the day and Satay Bee Hoon at night. I was the number 8 person in the queue. I expected the wait to be about 10 minutes but i waited for 20 minutes to order and to collect my order. This stall is manned solely by an Uncle. He is responsible to do the cooking, to serve it and to collect the payment. That very much explained on the long waiting time. The patience is the key right here. A basic plate of satay bee hoon is priced at $3.00. It was served on a disposable plate with disposable chopsticks. The portion is quite substantial. It was a big pile that totally covered by the satay sauce. I mixed it well. 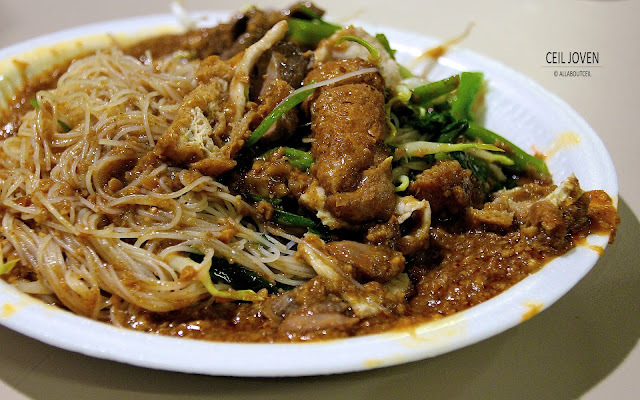 A good portion of bee hoon served with generous ingredients of pork liver, cockles, lean meat, tua pok with a brunch of kangkok and beansprouts. The ingredients tasted fresh. 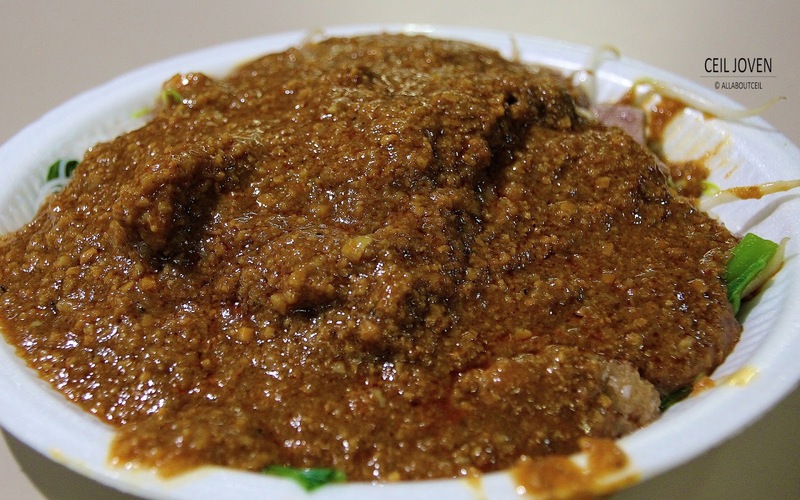 The kang kong and beansprouts have a likable crunchiness added to enhance its texture. The slices of pork's liver and lean meat were lightly poached in the boiling water to cook it. The pork liver still retained its tenderness with a slight redish to indicate it is not overcooked. If you are not fan of cockles or pork liver then you might want to make it a special order to omit them out. 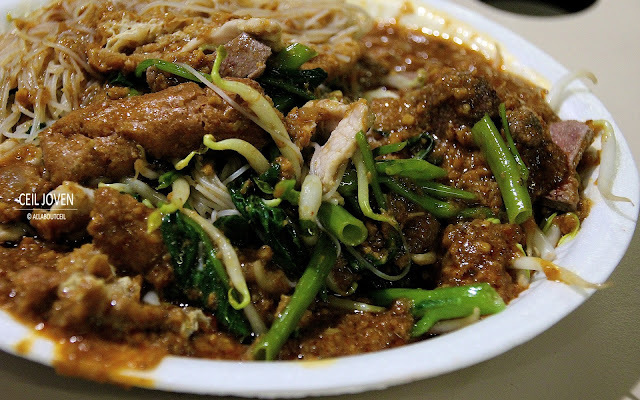 The texture of bee hoon has cooked well to give it the desired texture. The satay sauce has got a distinctive taste of peanuts with bits of coarsely grounded peanuts in it. The level of spiciness was just minimum. It complemented the ingredients with the bee hoon well to give it the near perfect taste. I would likely queue again when i am here next time.